Friendship - The lovely partnership between two or group of people bring support and joy and occasionally strife. Friendship needs to be treasured and cherished. Wherever your friends are, you can always check up on them with social media. 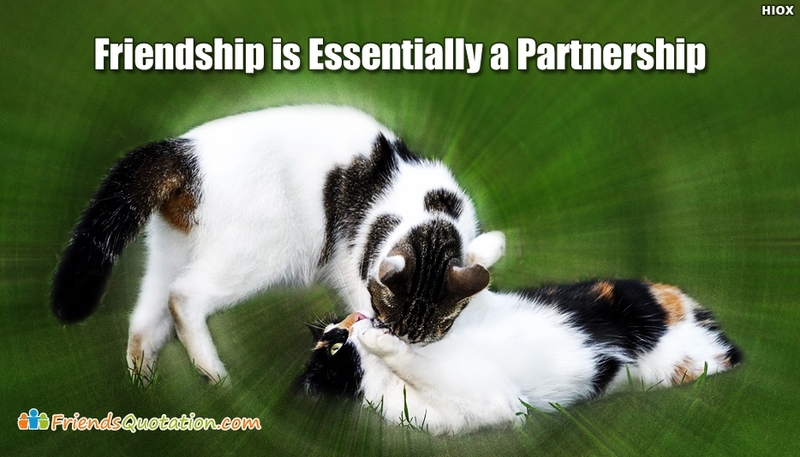 Here is a simple quote on friendship that says "Friendship is Essentially A Partnership" to share with your awesome friends and make them realize how special they are to you.